Celebrating Our Twenty-fifth Anniversary Season! 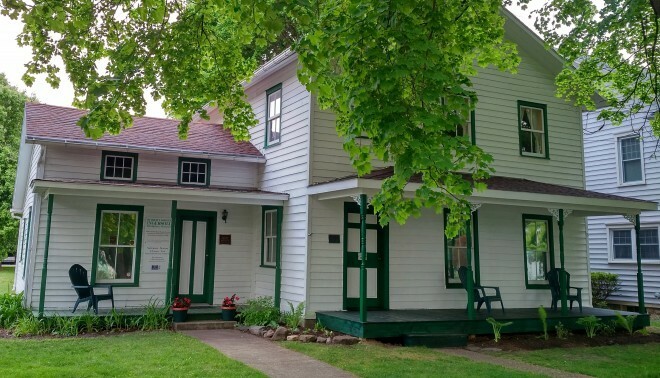 The Robert Green Ingersoll Birthplace Museum showcases Ingersoll’s originality, his wit, his power as a persuader, and his role in history – in the Finger Lakes home where he was born. Historical artifacts, displays, and a specially-produced high-definition video presentation bring Ingersoll and his times to life. On display are Ingersoll’s walking stick; his Masonic sword; a complete manuscript of his most famous speech, “Ghosts”; and a great variety of period artifacts. Explanatory signage tells the whole story of Ingersoll’s life, lavishly illustrated with photos, drawings, and period mementos. 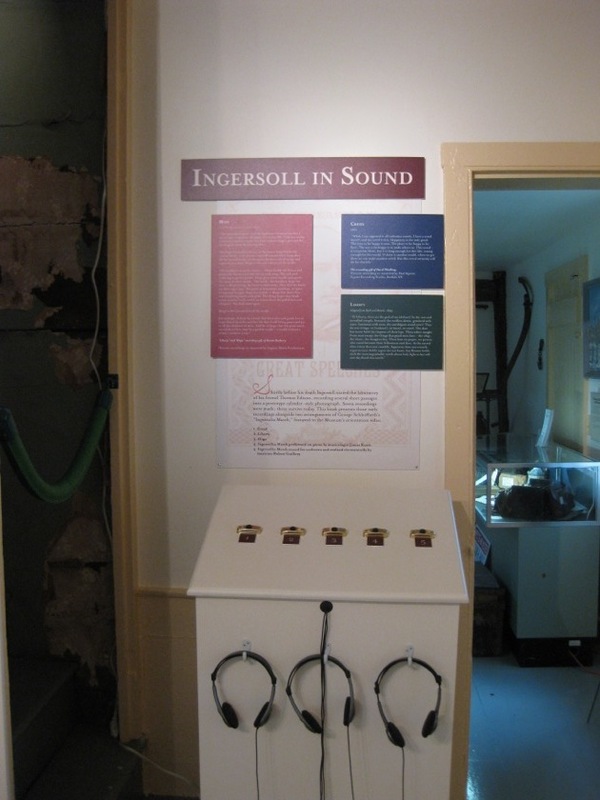 A listening station invites visitors to hear three actual audio recordings of Ingersoll as recorded by Thomas Edison, as well as two renditions of a long-lost “Ingersolia” March. The interior was completely refurbished with professionally-designed displays in 2014. 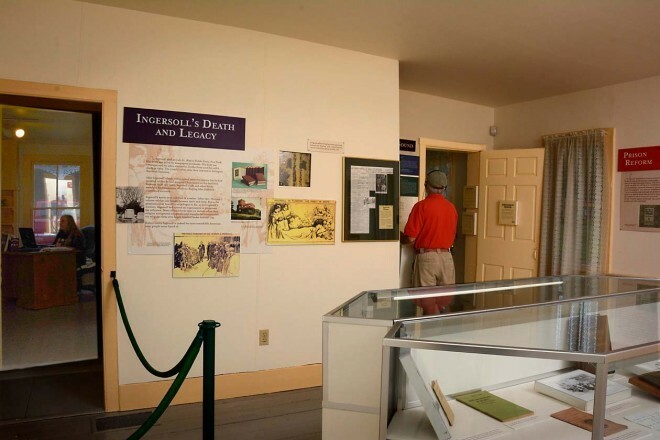 The Museum’s second floor includes the room in which Ingersoll was born and a newly-opened display room. 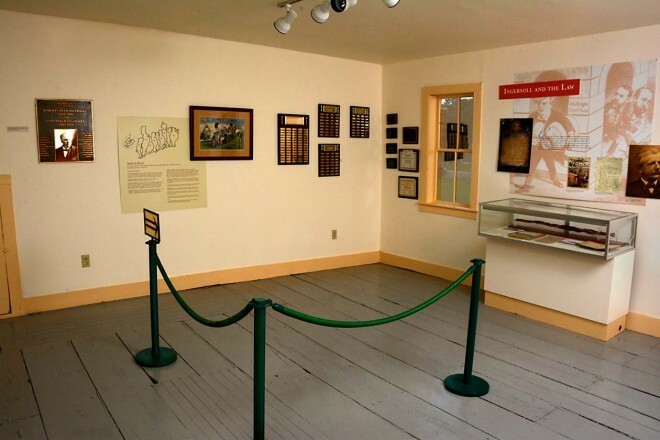 In addition the upstairs hallway features a variety of interpretive materials. 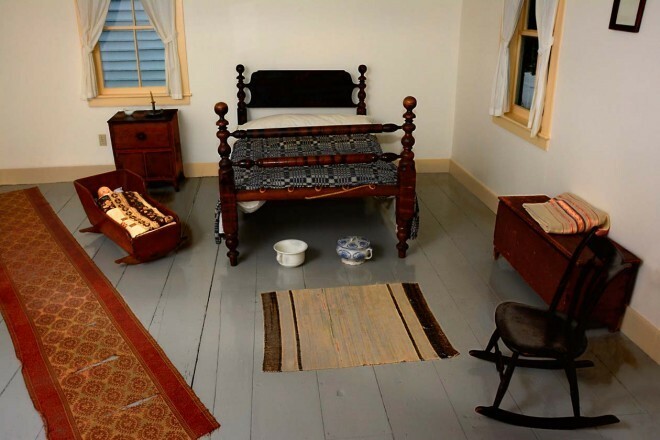 The upstairs room where Ingersoll was born has been restored with authentic period furniture. 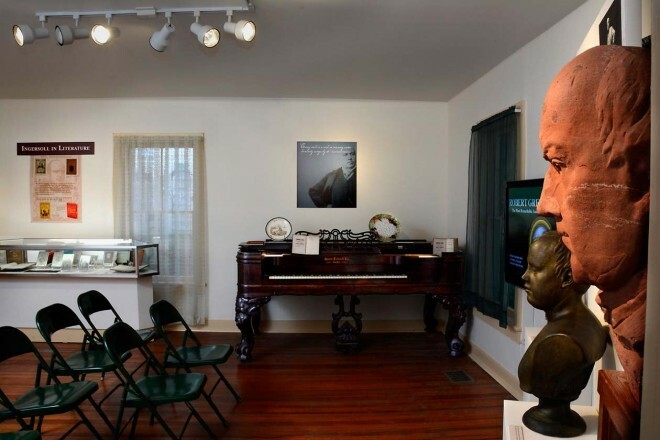 A new upstairs display room has been opened to the public for the first time, with displays focusing on Ingersoll’s Civil War service, his years in Peoria, and his law career. 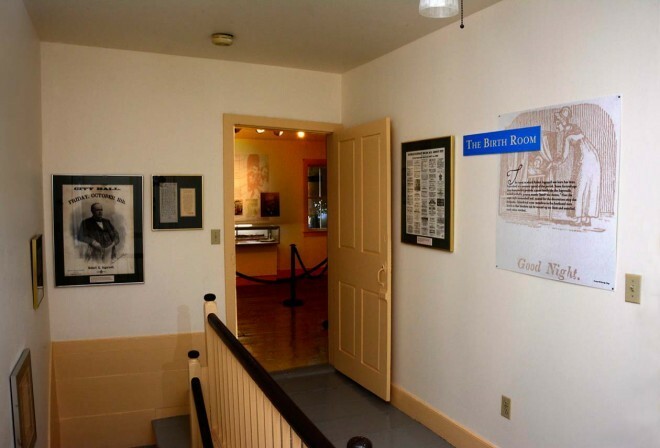 A “Local History Room” displays artifacts from Dresden’s past. The Village of Dresden historian maintains an office in a private area of the house. 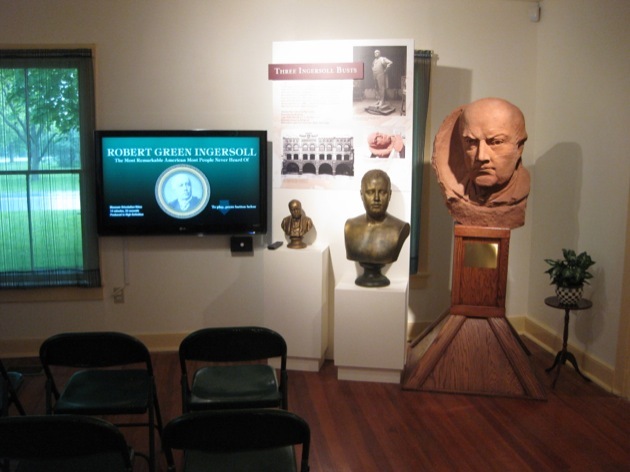 Who is Robert Green Ingersoll, and what’s to be seen at his birthplace museum? The answers are in the new 14½ minute introductory video… the very program viewed by visitors to the museum. Production of this video was funded by a grant from the James Hervey Johnson Charitable Educational Trust. Member of New York Cultural Heritage Tourism Network. Member of Museum Association of New York. Member of Finger Lakes Tourism Alliance.